Sumio Iijima is a Japanese physicist best known for his discovery of carbon nanotubes. He graduated from the University of Electro-Communications in Tokyo in 1963, and received a doctorate in solid-state physics from Tohoku University in Sendai in 1968. Iijima is currently a Professor of Materials Science and Engineering at Meijo University in Nagoya, Japan. He is also a Research Fellow at the Fundamental Research Laboratories of the NEC Corporation, where he continues to research carbon nanotubes and their potential commercial applications. After receiving his doctorate, Iijima briefly worked as a research assistant at the Research Institute for Scientific Measurements at Tohoku University. In 1970 he accepted a position at Arizona State University, where he worked as a researcher in the field of electron microscopy. As part of this work, he began studying the atomic structure of carbon. After returning to his home country in 1982, Iijima worked with the Research Development Corporation of Japan in the field of ultra-fine particles. In 1984 he discovered the structural instability of ultra-fine metal particles where, as he puts it, “the atoms of metal move about like amoeba.” From 1982 to 1987 he devoted his efforts primarily to research in this field. Iijima has received a number of prestigious awards for his work. In 1976 he was awarded the Warren Diffraction Physics Award of the American Crystallography Society for his research in the field of electron microscopy, and in 1985 he was awarded the Nishina Memorial Award for his discovery of the structural instability of ultra-fine particles. 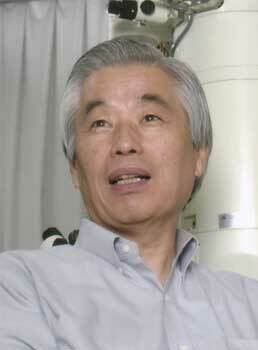 For his discovery of carbon nanotubes and subsequent work in this area, he has received a wide variety of awards, including the Asahi Award, the Japan Academy Prize, the Agilent Technologies Europhysics Prize, and the Benjamin Franklin Medal in Physics, one of the world’s most prestigious scientific prizes. This page was last edited on 29 February 2016, at 17:02.